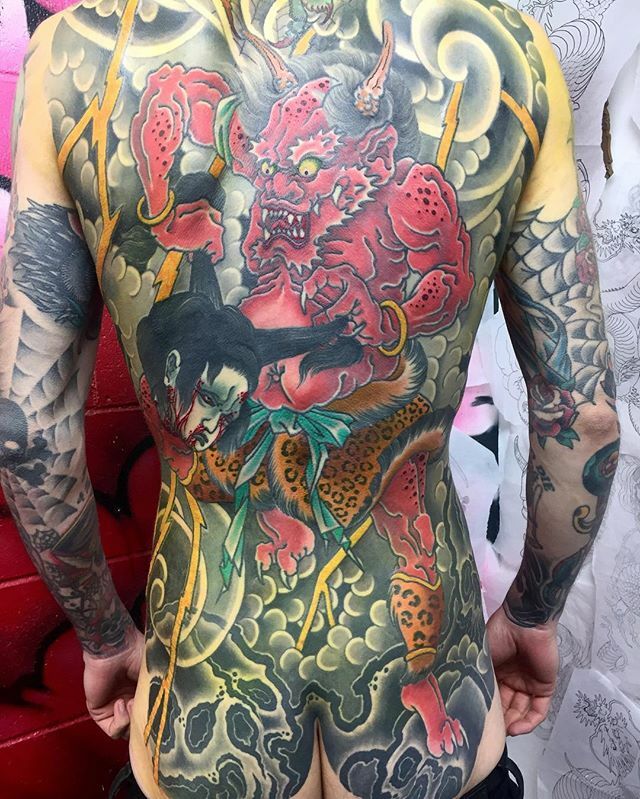 Japanese back piece finished @lighthouse_tattoo . This one took a while. There were a few long gaps in between sessions, but we got there.